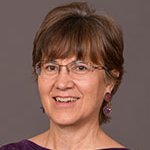 Harold B. Allen Award Recipient: In this article, the 2016 Harold B. Allen Award winner, Susan Ranney, describes ways that teachers can counter hostile discourse toward refugees and immigrants through advocacy and personal connections. When I was honored with the Allen award in late October 2016, I welcomed the opportunity to speak to the audience of ESL teachers in the final weeks of the presidential campaign. I knew that through our work with immigrants, refugees, and international students, we had all been affected by the hostile campaign rhetoric about immigration and international connections. Fearing that the hostility would not disappear after the election, I called on the audience to share their students’ stories and to continue to advocate for them. Since that time, the threats to our immigrant, refugee, and international student communities have become all too real. Now, more than ever, we need to learn the facts, educate, advocate, and tell our stories. My favorite personal story comes from an experience during an evaluation study of tutoring programs for refugees in Minnesota schools in 2005. In an interview with a group of Somali students at a suburban middle school, I asked if the students had advice to share with tutors. One young boy threw his fist up in the air and said, “Bring glove!” I was confused and thought he might be thinking of a boxing glove, so I asked him to clarify. He explained that he didn’t mean anything about punching, but wanted tutors to bring love, “so that they will meet new people and have more friends”. Yes, I thought, bring love. Looking back now, I envision “Bring glove” as including the fist in the air to fight oppression, and a heart full of love to overcome the forces of hate. But how can we keep up the fight and share love in this time of fear of deportations, walls, bans, and discrimination? The task is enormous, but ESL teachers are uniquely well suited to meet this challenge; we cross borders in our work every day. We know how to learn new information, navigate different cultures and perspectives, and teach others. Now we need to put all those skills to work in our classrooms and schools, our communities and networks, and in our role as citizens. First, it’s important to address the myths that are commonly used as a basis for discrimination. For example, some argue that past immigrants followed the rules while today’s undocumented immigrants are breaking laws, that Americans welcomed past immigrants because they behaved in more acceptable ways, that refugees are a threat to our security, that Muslims do not support American values, and that immigrants and refugees take jobs from native-born Americans and are a drain on our economy. As we interact with people who have these views, we need to have facts ready to refute these false beliefs. It’s also important to empower our students with facts to strengthen their defenses and help them see their place in our society. U.S. law requires due process for undocumented people to demonstrate that they should be allowed to stay, as they may have a legitimate case for a change of status. Undocumented children have a right to public education in the United States, as stated in the Plyler vs. Doe Supreme Court case. Overall, immigration is positive for economic growth and jobs. Minnesota faces a slowing of population and economic growth, creating a need for immigration to meet future labor shortages. Immigration is correlated with lower crime rates, not more crime. Knowing the facts is a start, but how can we make an impact in the face of grave threats and hostility to immigrants and refugees? It can be overwhelming to see students fearful of being bullied, separated from loved ones, or deported. Yet we have the power to make a difference in our classrooms, our communities, and the country as a whole. What Can We Do in Our Classrooms? While we may feel powerless in the face of government action, teachers actually make a significant impact through their regular face to face interaction with students in schools. Specifically, we can address students’ fears and concerns by creating safe spaces for discussion (See resources for standing up to hate, Talking about racism, controversy, and trauma ). Migration (an inclusive term including voluntary and involuntary immigration, and movement within a country) is an important social studies topic at any time, and is vitally important for both ESL and non-ESL students to understand now. There are many teaching resources to help assure that all students understand the legal, historical, and cultural issues involved. For example, the Immigration History Research Center at the University of Minnesota has created an immigration syllabus and lesson plans, and National Geographic has teaching resources on the broad topic of human migration. We can teach students about civil rights so that they understand where they fit in our country’s history and can stand up for themselves when under attack (See resources about the Muslim ban, resources on immigration orders, and resources for undocumented youth). Even if your school curriculum doesn’t provide space for teaching about migration, you can infuse it into reading instruction through the wealth of books about refugees and immigrants (25 books about refugees, Refugees welcome here booklist, Books to help kids understand what it’s like to be a refugee, Multicultural books about immigration, as well as books to counter Islamophobia (45+ Books to Counter Islamophobia Through Stories). In addition to sharing books about immigration, we can show students that they are part of American society through sharing multimedia stories of other immigrants and encouraging them to record their own stories through projects such as the Immigrant Stories project at the University of Minnesota, and Green Card Voices. With or without organized video projects, teachers can arrange for immigrant and refugee students to share their stories with other classes at their schools, community groups, senior centers, and legislators. It’s important to remember that supporting language development and academic access is in itself an act of advocacy. Often, the opportunity for education is one element that drives families to leave their home countries and face obstacles in the U.S., so it is crucial for ESL teachers to work and advocate for high quality education to English Learners so that they can fulfill their potential. We must not only speak out in support of our students, we must make sure our language instruction helps them develop their own voice. What Can We Do as Community Members and Citizens? We also need to become politically active and let our elected officials know where we stand. Members of Congress need to hear the stories of people in their districts and states who are affected by immigration and travel policies. You can make calls and write emails, or, even better, teach your students to write letters to elected officials. (Contacts for Members of Congress). Lately I’ve been thinking about the young boy who told me “Bring love”. He must now be navigating his early adulthood in the face of uncertainty about how America sees him as a Somali immigrant. His words have already had an impact, as I once found myself in a social gathering that had turned into a discussion of how some (Christian) immigrants were preferable to other (Muslim) immigrants in local schools. My story of the open-hearted Somali boy put an end to that discussion, and I hope it caused people to re-examine their assumptions. I have been encouraged by the theme of love in the protests that are springing up around the U.S., such as the “Minnesota Caravan of Love for Immigrants and Refugees” held in Minneapolis before Valentine’s Day. We need love, and we also need power grounded in knowledge and determination. 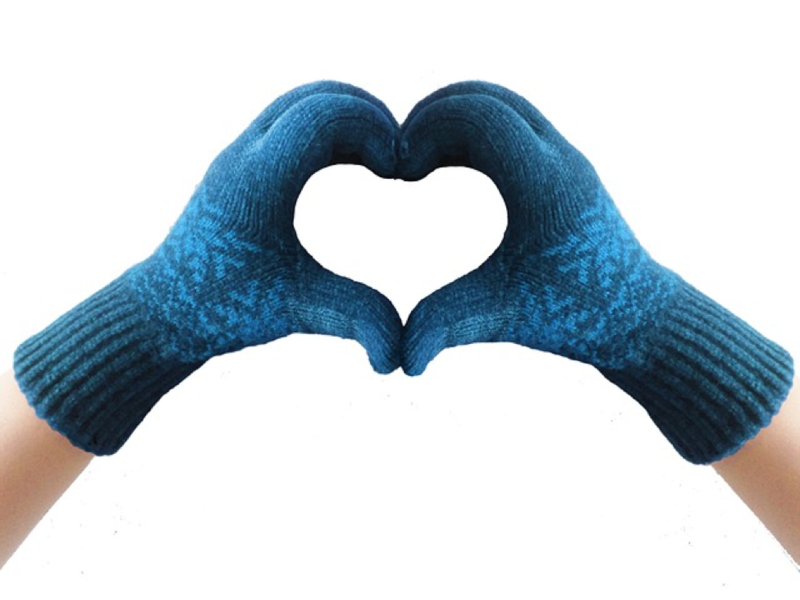 So, the image of a fist and a heart together is fitting, suggesting a new hashtag- #bringlove -to remind us to bring determination, strength, and love to teaching and advocacy. Susan Ranney recently retired from the University of Minnesota after 20 years of educating ESL and World Language teacher candidates as well as preparing teacher candidates in other subject areas to work with English Learners. She has represented MinneTESOL at TESOL Advocacy Day and helped to establish the MinneTESOL Advocacy Standing Committee.